Tonny Restaurant is named after its founder Chef Tonny Chan, a renowned Cantonese Chef from Hong Kong, with over 30 years of experience. Throughout his cooking career, Chef Tonny Chan has won many awards including Gold at Singapore Golden Tripod Award in 2002 with his famous dish named The Crouching Tiger Hidden Dragon. You can still enjoy this dish at Tonny Restaurant. I passed by Tonny Restaurant (‘TR’) a lot of times, as it is located beside the restaurant that serves frog porridge. 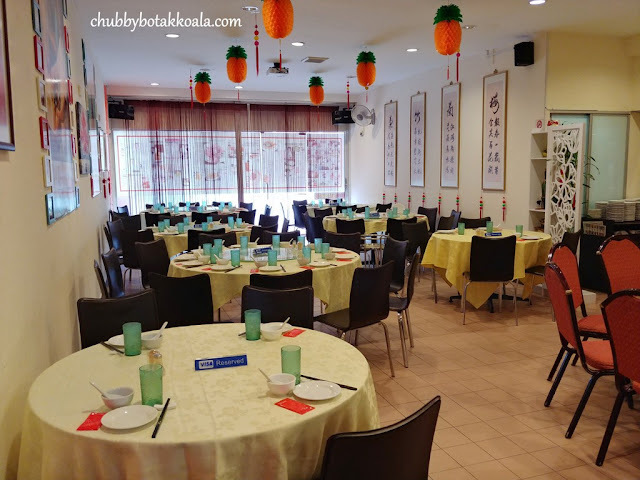 For our CNY 2018 gathering, our makan kakis agreed to give this place a try. The lunch started with Spanish Iberico Yu Sheng ($58 / $88). 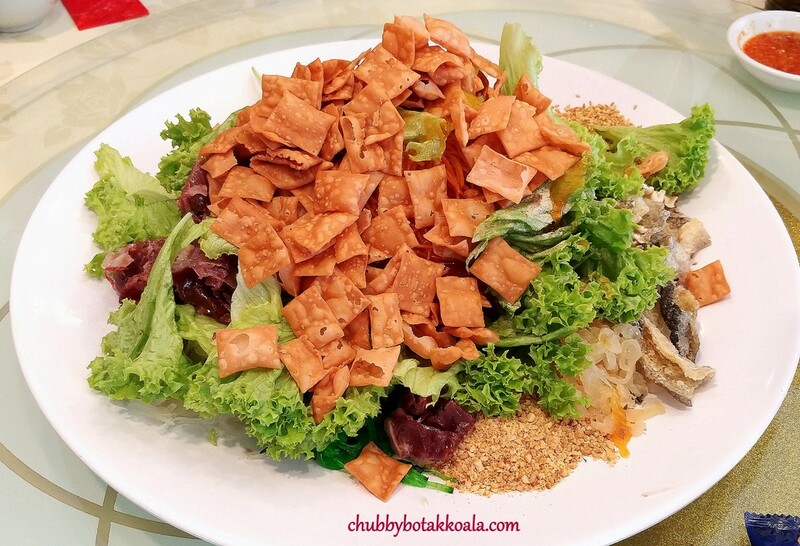 A unique version of Yu Sheng. 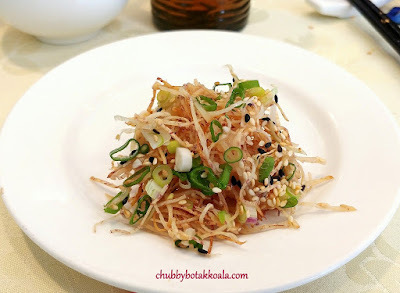 The basic ingredients are simple, the usual shaved carrots, shaved radish together with pickled and dried ingredients. 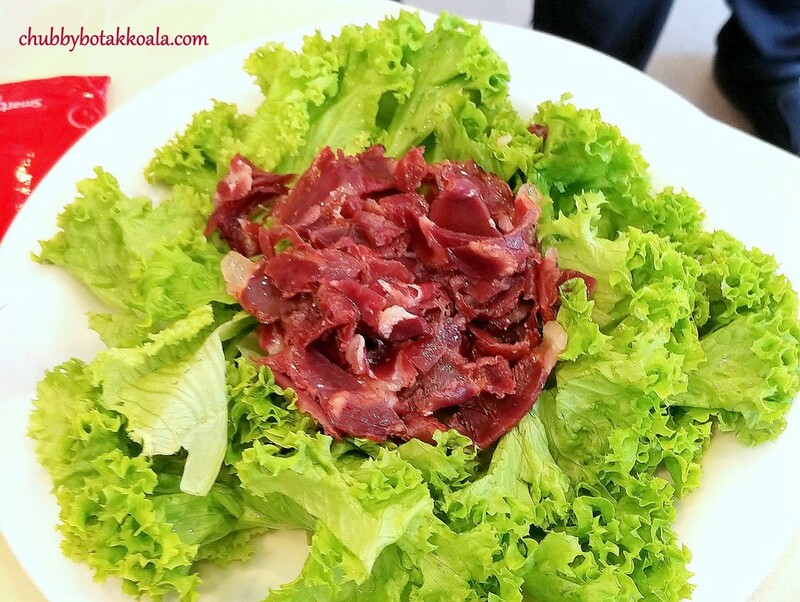 Fresh Lettuce, Fried Fish Skin and Spanish Iberico ham are the unique touches of Tonny Restaurant. The Yu Sheng tasted refreshing and crunchy, while the Iberico Ham gave the Yu Sheng a unique umami saltiness. We decided not to order the CNY set menu, instead, we ordered from the selected CNY ala carte menu. Crispy Yam with Truffle Oil ($16). This is a signature dish of this restaurant. The Yam is crispy and light, bind together with truffle oil and a touch of mayonnaise. Just to simply describe it, Yummy!! Braised Home Made Beancurd with Dried Scallop ($20). The exterior of the homemade beancurd is slightly crisp as it was deep fried before. The interior is smooth and tasty, while the thick gooey dried scallops’ gravy just elevates the flavour in this dish. I suggest that you have a bowl of white rice with this to soak up the rich gravy. Claypot Chicken with Chinese Wine ($38), ordered by LD. The chicken is seasoned with salt, baked and cooked in claypot. Once the lid of the claypot was lifted, the appetizing aroma just filled the room. As TR uses Kampong Chicken, the chicken is firm, springy and succulent at the same time. We like the texture of the skin plus the stock extracted from the chicken. Another “rice thief” dish. I manage to get my hand on the chicken bishop and it does not disappoint. The fats just melt in your mouth and absent of oiliness texture. Yum Yum. Braised Crocodile Palm with Quail Eggs ($52). 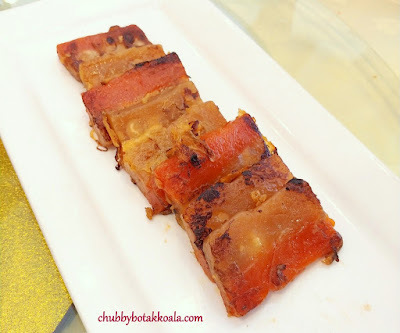 Something exquisite from Chef Tonny recipe vault. I did not eat the crocodile meat is too ‘heaty’ for me and I will have a nosebleed if I consume it. The crocodile palm is filled with collagen, topped with rich and delicious gravy. 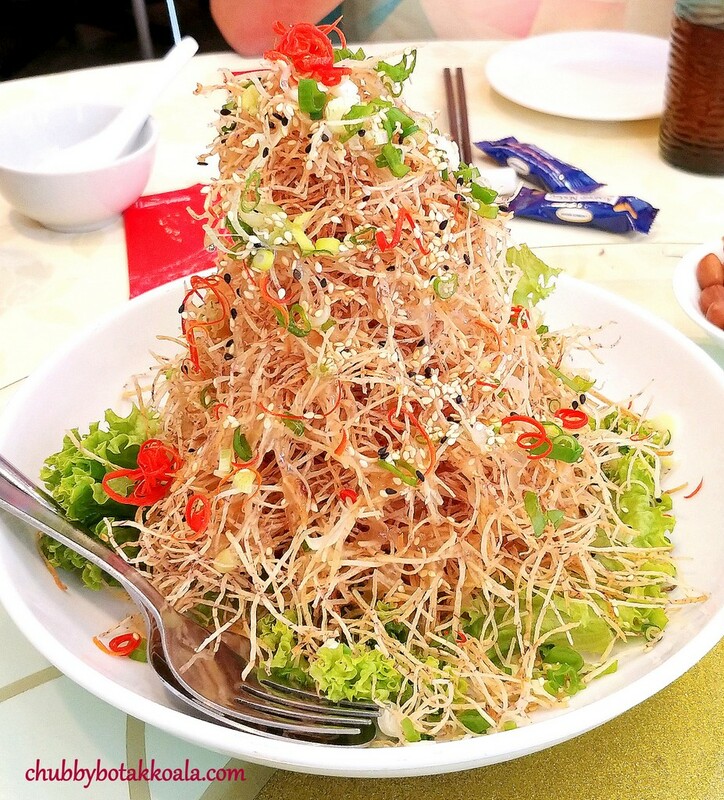 Well, the rest of the makan kakis agree that this exotic dish is worth to try. Braised Ee-Fu Noodles with Lobster ($68 for 4 pax). The idea of this dish is to let the Ee-Fu me to absorbs the flavour of the lobster. The lobster is nicely cooked, where you can taste the flesh springy and bouncy. Though the Ee-Fu noodle soaks the flavour of the lobster, I found it lacking the OMPH factor. For dessert, Pan-Fried New Year Cake ($8). For presentation – unattractive! Taste wise, definitely not what we expected, the rice cake is not flavourful and aromatic, to make the dish worse, it was burnt on one side. This dish is definitely not recommended. The décor of the restaurant actually paid homage to most of the restaurant in Hong Kong. The Chinese calligraphy decorated the dining area together with Chef Tonny achievements and publications on Chef Tonny. The gold colour tablecloths showcase a modern touch to the restaurant, which I find it better than the dark red colour. Service is friendly with a touch of oldies personality. Overall, it was indeed a good dining experience. 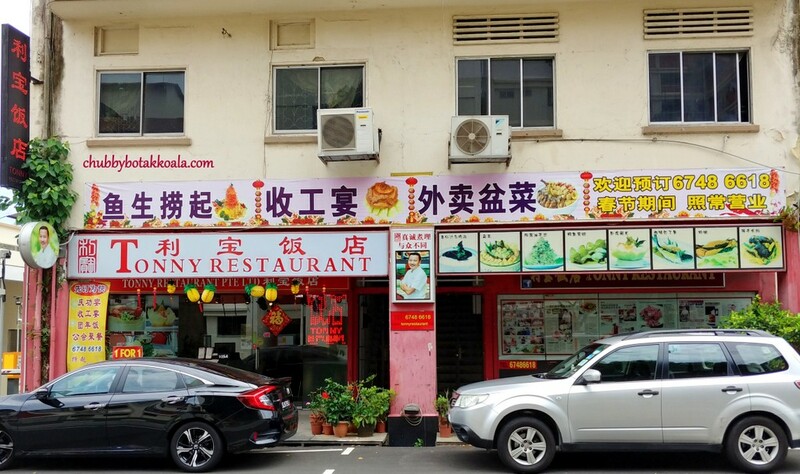 Their signature dishes such as Crispy Yam with Truffle Oil, Homemade Beancurd and Claypot Chicken with Chinese Wine are a must to order here. Chef Tonny dishes also showcase his ability to combine modern ingredients with his Cantonese cooking style. Looking forward to my next visit. Cheers! !